Jurors include Gareth Unwin, Andrew Cripps, Hugo Grumbar, Edith Bowman, Christian Grass and Mia Bays. 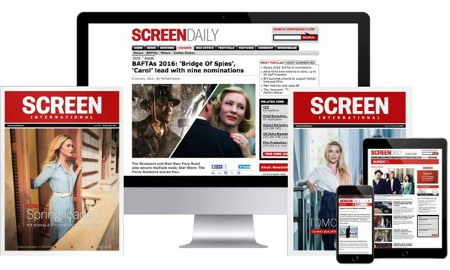 Screen International has unveiled the line up of jurors for its third annual UK Marketing & Distribution Awards which will take place on Oct 4 at The Grange St Paul’s Hotel, London. Chaired by Screen editor Mike Goodridge, the 26 jurors will vote in two groups and two sessions for 18 awards, including UK distributor of the year, UK theatrical campaign of the year, UK online campaign and trailer of the year. Two new awards have been introduced this year - UK Sales Company Best International Campaign and the Rising Star Award which will recognise young talented executives who will rise to the top of the distribution community in the decades to come. For more information about the awards, including table bookings and entry requirements, visit the Screen Awards website.